Remember my excitement when I, years into my vegan living, was able to create the perfect vegan crepe recipe? 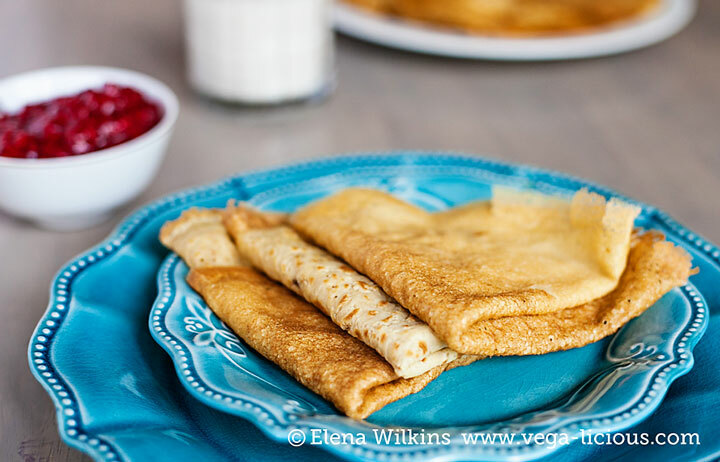 If you don’t, I can tell you that I was over the moon and spoiled my family rotten making those mouthwatering, delicious, low fat vegan crepes. Now my excitement doubled. Why? 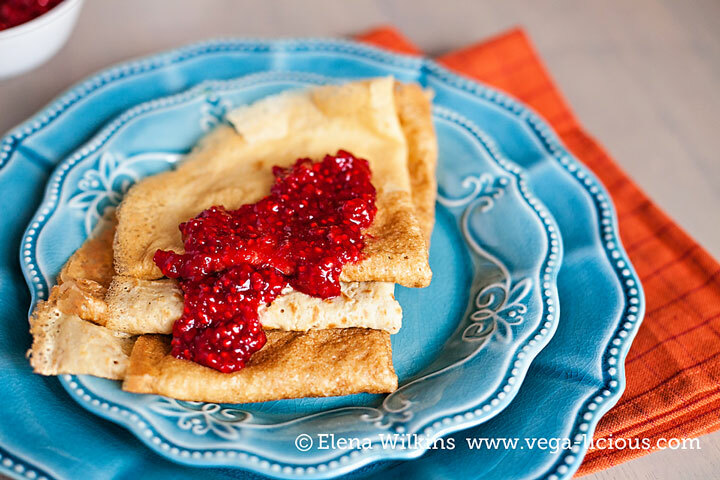 I honestly never thought that it was possible to create a perfect gluten free crepe recipe, let alone a perfect vegan, gluten free crepe recipe. But I did it! I actually created a perfect gluten free crepe recipe! It is moist, soft, flexible, looks and feels almost identical to its non-gf twin! It was an experiment, the first time I made it, but it came out perfect. So perfect, in fact, that non-vegans and vegans alike could not tell the difference. They turned out that great! The only person that noticed any difference in flavor was…Sprout! I think that my girl has senses of a hound dog. 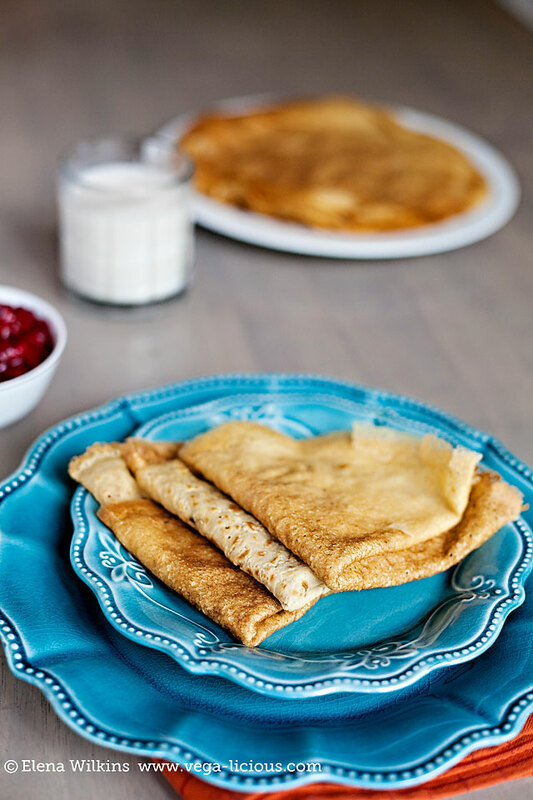 Gluten free version of crepes is as easy to make as their wheat counterpart. They are as easy to flip too. And here is the best and the flippiest part–I made them out of garbanzo beans! I made flour out of garbanzo beans in my high speed blender–took only a minute. I sifted the flour to keep bigger pieces out (used in a different dish later). But, if you don’t have a high speed blender, or don’t feel like making your own flour on the cheap, you can buy garbanzo bean flour in most stores these days too. Do you know how good garbanzo beans are for us? Full of nutrients, minerals, and for those who covet protein, loaded with easily digestible plant protein! And, unlike processed white wheat flour, it won’t expand your waistline! After all–you’ll be eating beans high in fiber. To keep them low fat, you will need to use a non-stick pan, and will need a very flexible turner (spatula like creation) that won’t scratch your non-stick surface, while also getting under the crepe without tearing it. Any topping of your choice (or any stuffing of your choice) will heighten the pleasure experience. 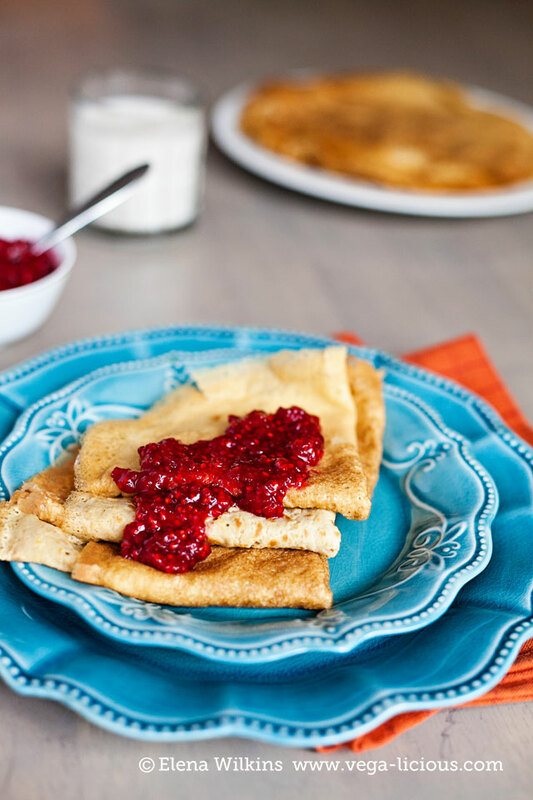 I’ve had these crepes with home-made berry jams and with Vegan Manicotti stuffing leftovers-YUM! (especially when you stuff the crepes with it, and bake for a little while to allow for the stuffing to melt) While the crepes themselves are absolutely guilt free and weight loss friendly, manicotti stuffing is a VERY GUILTY pleasure :). Here’s the recipe. 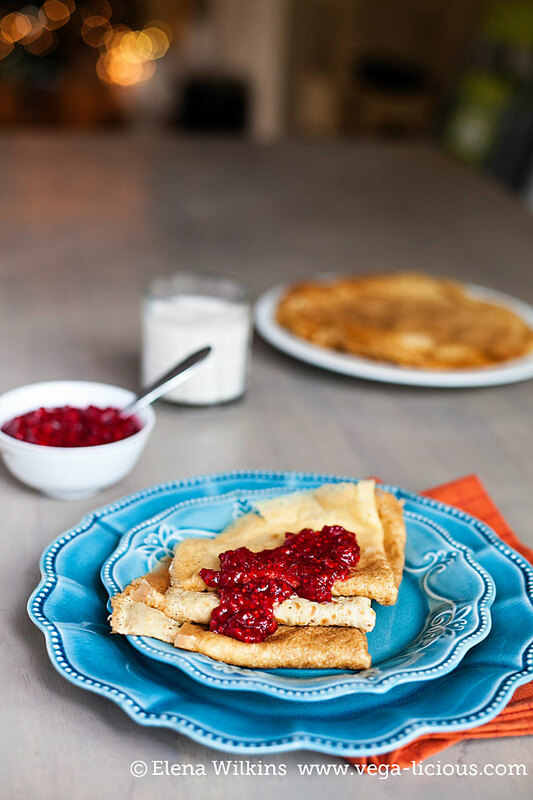 Step by step instructions with a demo can be found in the original Low Fat Vegan Crepes Recipe. I am including the video from the original recipe to show you, step-by-step, how to successfully make your first ever gluten free crepes! Place the skillet back on the burner and let the batter cook for 40-45 seconds. 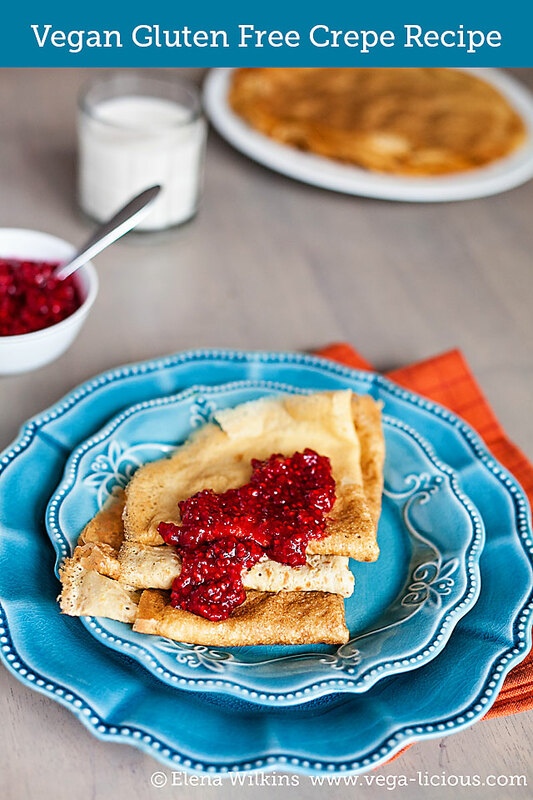 You will see the sides coming off the skillet and browning, without any moist (uncooked) batter spots on top--that's a sign that the crepe is ready to be flipped. Take the turner and gently move the edges off the skillet even more, so that you have enough to grab with your fingers.